Drawn to New York to track down the vampire that is plaguing ESU students, Blade the Vampire Hunter encounters Spider-Man who he believes is the culprit. After discovering that his usual vampire weapons have no effect on the web-slinger, Blade reluctantly agrees that Spider-Man is not the vampire. When Spider-Man reveals that Morbius is the real vampire as well as the victim of a Neogenic Recombinator experiment gone awry, Blade decides to demolish the scientific equipment. 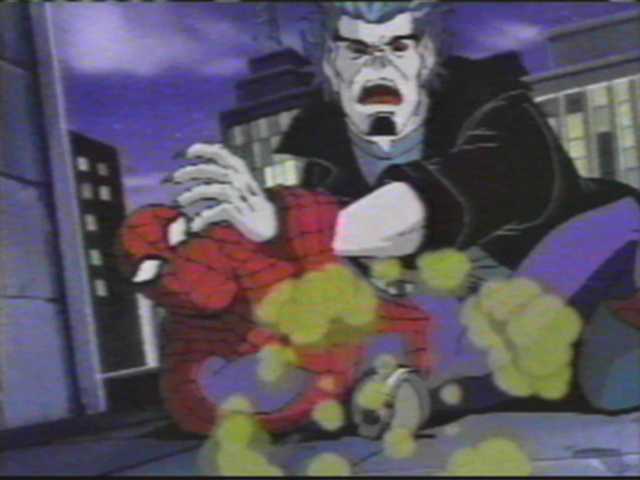 Can Spider-Man prevent the vampire hunter from destroying the Recombinator as well as Michael Morbius? This episode (and the one that follows) originally aired after the "Tablet of Time" two parter.